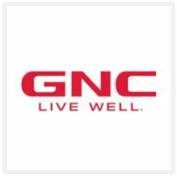 Our GNC at Park West Village is locally owned and operated! We offer a wide variety of vitamins, minerals and sports nutrition supplements. Our manager, Beka, has a masters in nutrition and all of our employees work their hardest to help you with your short-term and long-term health, fitness and wellness goals! Find us on Facebook @Live Well Live Easy! Read our articles and Q&A on health and wellness in Midtown Magazine and Cary Living. Please stop by and see why customers keep coming back! Find us on Facebook @Live Well Live Easy.